In spite of the inscription, this drawing shows Kean as an older man than he was in 1827, when he first played in 'Douglas' as Young Norval (not as Douglas) at Drury Lane, aged sixteen. Providing that the inscription is not wholly erroneous, it is probably the work of one of the Misses Drummond, all five of whom were painters. 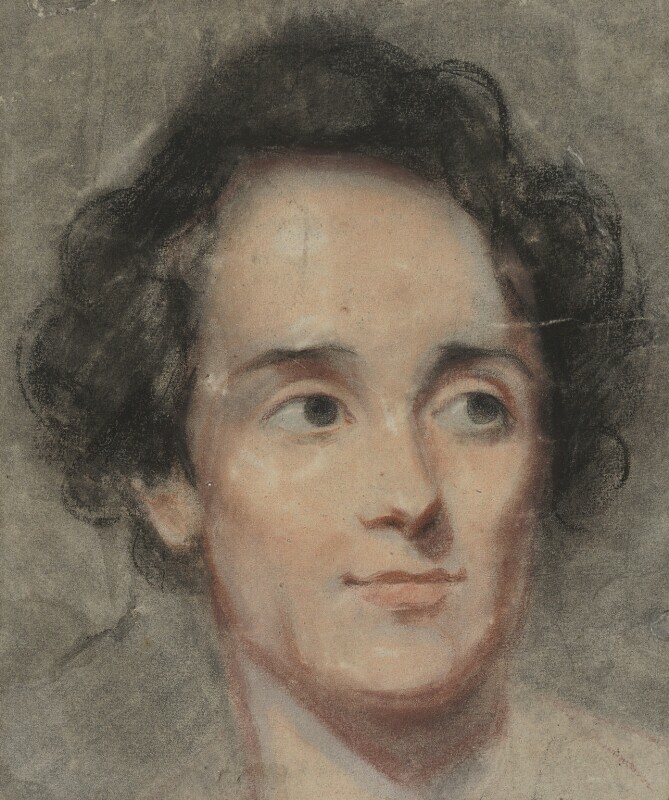 The head in this drawing is very similar to a painting of Kean as Hamlet in the collection of S. Sandra in 1929, which may be the portrait by Miss R. M. Drummond exhibited RA 1838 (299). If this is so, then the NPG drawing would be a study for her 1838 portrait of Kean as Hamlet, which would agree well on grounds of age. This drawing has in the past been taken for the work of Miss Eliza Drummond, but it is not clear why. A water-colour or miniature of Kean as Sir Edward Mortimer by Miss F. Ellen Drummond was exhibited RA, 1839 (1025). Brown eyes, black hair. Background colour bluish-grey. Harley Granville Barker, presented by him, 1932.